The kitchen must be where cooking is a tangible pleasure, a totally customizable area featuring innovative technologies and modern creativity that goes beyond time. That's where we can help. For over 30 years we have designed gorgeous kitchens. Our beautiful showroom exhibits a wide range of high quality cabinetry and we are a recognized leader in cutting edge design. Our focus at Jennifer Gilmer Kitchen & Bath is placed on our clients and transforming their unique spaces, not replicating cookie-cutter designs. Each project is exciting and unique to us! 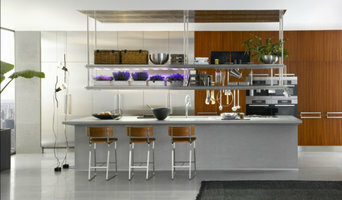 ApplianceLand offers a large selection of appliances in our showroom and design center. We have far more models on the floor, and available for order, than any box store at a guaranteed lower price. We are a design-build remodeling contractor. In house designers will help you envision & design your project. Our employed craftsman will then turn that design into your dream kitchen or bath. We are the largest full-service residential remodeling organization in DC, MD & VA. We offer sound advice & can truly be a “partner” in your project with you. Call us for your next project! We are as committed to getting your kitchen design and remodel, basement finishing, bathroom remodel, and room addition started and finished as you are, so call our expert team of professionals today! Chesapeake Kitchen Design is a full service design/build company that specializes in kitchen and bathroom projects. Our showroom is located near the corner of Wisconsin Ave. and River Rd. in Northwest Washington D.C. Our service area includes Washington D.C., Bethesda, Potomac, Chevy Chase, Silver Spring, and Northern Virginia. We have established our reputation on the quality of our workmanship, business practices and our dedication to our clients' satisfaction. Since we opened, we have respected the opinions and tastes of our clients and we welcome their input while offering our guidance to insure a cost effective and successful project. We carefully guide you through the design and remodeling process offering our suggestions for the best design and choice of materials. Since 1978 we have provided our clients with functional and innovative design. About 80% of our jobs are handled by Chesapeake completely. That is design, construction, and project management. Approximately 20% of our projects involve design and sales of cabinets only, to be delivered for installation by another contractor. Our team of expert professionals understands what it means to be a proud homeowner area and we provide the highest quality craftsmanship with every project. We are fully licensed and bonded. 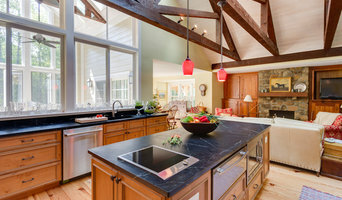 Achieving flawlessly functional and attractive kitchen and bath design in Chevy Chase, MD requires a professional who specializes in these spaces. Not only do these rooms see the most action of the house, but they require the most planning and attention to detail. When designing them, a bath and kitchen designer must keep a strong focus on the homeowner's wants and needs while also considering things like potential resale value. Read the tips below to learn how to choose the perfect Chevy Chase kitchen and bathroom design professional for your home project. What does a Chevy Chase kitchen designer or bathroom designer do? A kitchen and bath design professional in Chevy Chase, MD knows to take all of these crucial points into consideration and can help plan the layout, materials and overall look and feel of either of these rooms in your home. Kitchen designers, as well as bathroom designers, are constantly staying on top of trends in the ever-changing industry. The designer also knows the best layout for your room, and can configure the layout for optimal functionality and utilization of the space. In the kitchen the refrigerator, stove and sink should be laid out in relation to one another, and it should be seamless and easy to move from one to the other. A Chevy Chase kitchen and bath designer will know how to work with a contractor and architect to plan the flow of the room to work best for your needs. Here are some related professionals and vendors to complement the work of kitchen & bath designers: Kitchen & Bath Fixtures, Appliances, Tile, Stone & Countertops, Cabinets & Cabinetry, Woodworkers & Carpenters. Before you talk to bath and kitchen designers in Chevy Chase, MD, consider how you will use the room. For your bathroom, is it necessary to have a bathtub for bathing kids or pets, or would a shower suffice? Perhaps all you need is a half bath for downstairs or a smaller guest bath for occasional use. Similarly, for kitchen renovations consider your cooking habits. Do you eat out every night but need a space to entertain in? If so, a smaller kitchen might be fine for you, with a space devoted to wine storage or a bar, whereas others might prefer a bigger stove or extra cabinets. When interviewing Chevy Chase kitchen and bath designers, make sure to share these habits so they can best fit the room to suit your needs. 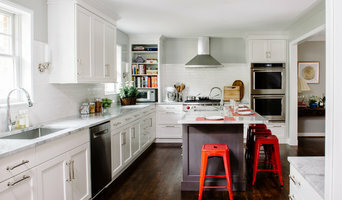 Find a Chevy Chase kitchen designer or bathroom designer on Houzz. Narrow your search in the Professionals section of the website to Chevy Chase, MD kitchen and bath designers. You can also look through photos in Chevy Chase, MD to find a kitchen or bathroom you like, then contact the professional who designed it.